MV3 Marketing: Instagram Marketing Learn More Now! an excellent marketing opportunity. How can MV3 leverage our social media expertise for you? Social networks have rapidly overtaken the globe in little over a decade, and at this point, this new technology only has upward mobility. Platforms like Instagram are valuable arenas for reaching new consumers and building loyal brand followings. At MV3, our professional team of digital marketers can help you curate your business’s Instagram aesthetic to maximize your marketing potential. Browse the platform and you’ll see that most specific-market content is targeted at a specific audience. How does a company identify its ideal target audience? More importantly—how will your content resonate with yours? Connect visually with your consumers. 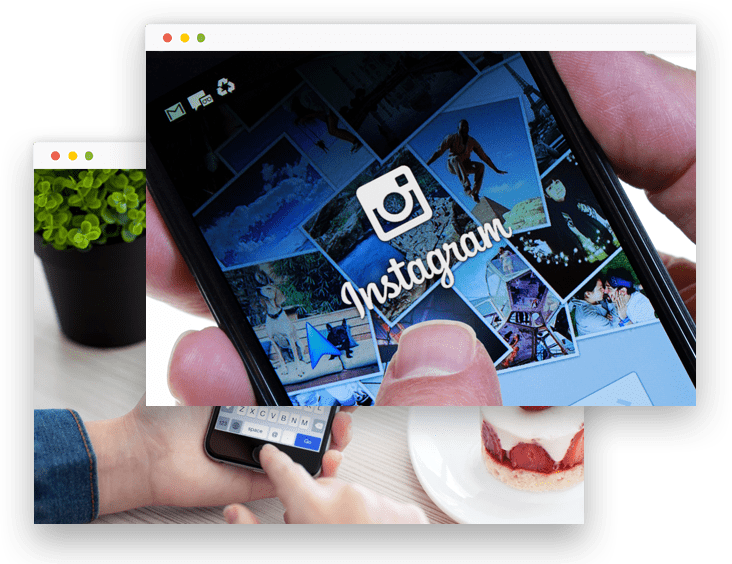 Developing your company’s Instagram relationship with current and potential customers is an opportunity for unparalleled exposure among a huge demographic—but the platform also provides an indispensable tool for enhancing your company’s front-facing image. We utilize modern solutions to grow your future marketing campaigns. Instagram publishes snapshots, photo collections and videos, as well as video “stories” and even live-streamed content. Our digital team is made up of image-and-video-enhancing experts, because on Instagram, beautiful content is everything. The strength of your social media strategy can vary widely based on the resources behind it, and MV3’s experts can provide access to some of the most advanced tools in the market today. We’ll help you identify and develop the types of beautiful content that connect with your followers and widen your social audience. Instagram’s supporting apps, as with those of any other growing platform, are in a constant state of evolution. We stay on top of cutting-edge solutions to make sure your marketing strategy is always at its most effective. Reach out today and discover how MV3 can supercharge your Instagram marketing techniques.